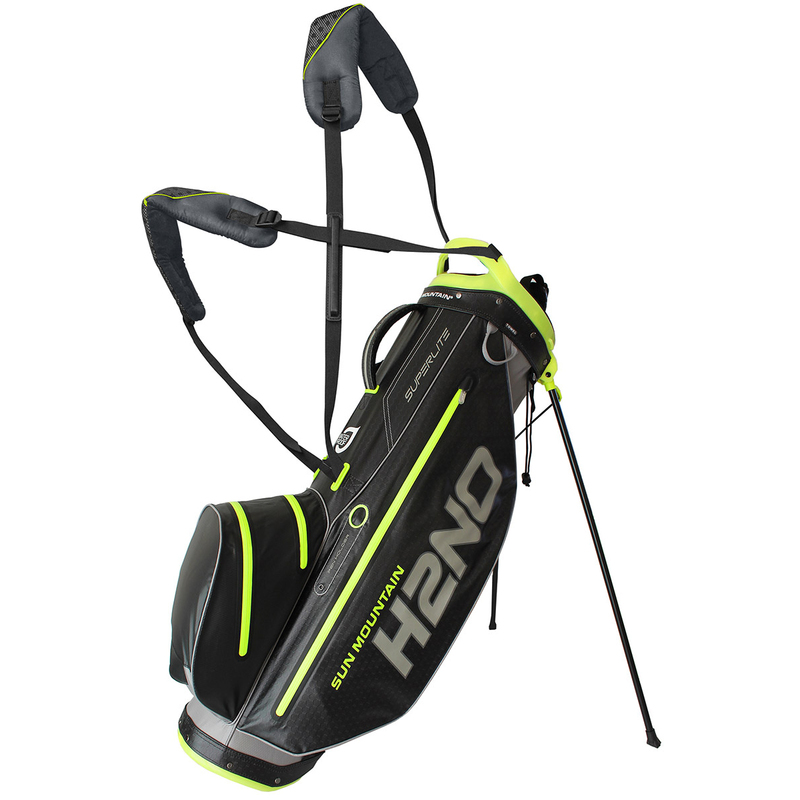 The lightweight and comfortable H2NO Superlite carry bag is a great choice to take to the golf course. 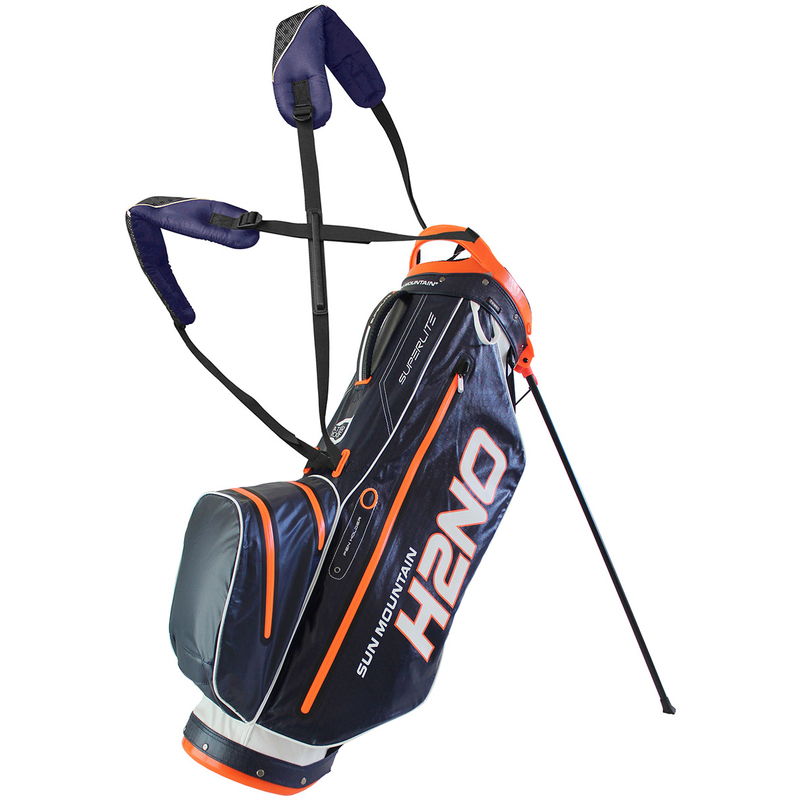 This bag is super lightweight and has been constructed with a waterproof coated nylon material to keep your precious equipment safe from the elements. 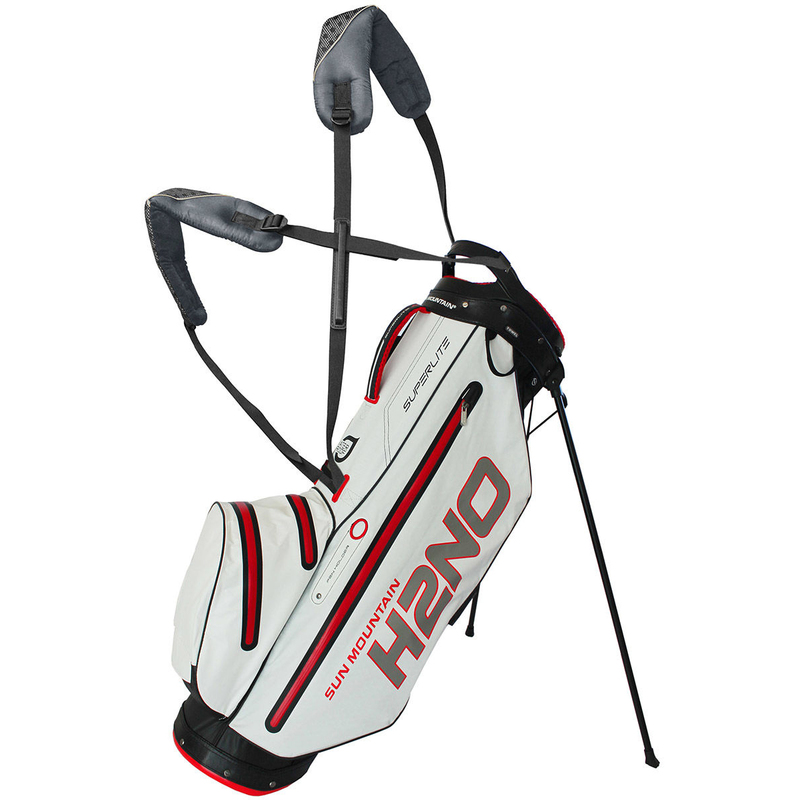 The bag is a joy to use with a 4-way full length divider top with integrated handle, plus has dual X-strap system which ensures a balanced carry, and has a padded mesh hip pad with 'Zero-G belt tunnel'. The bag also features a top mounted high tensile auto deploy leg mechanism and includes a Teflon-coated Rain hood.